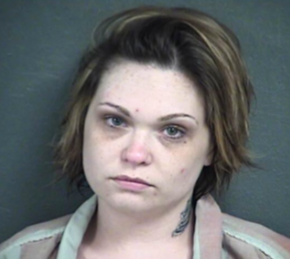 KANSAS CITY, Kan. (AP) — A suburban Kansas City woman is charged with two counts of first-degree murder in the June deaths of a woman and the victim’s unborn child. Wyandotte County, Kansas, prosecutors announced charges Thursday against 26-year-old Alora Mendoza of Kansas City, Kansas. She is also charged with attempted aggravated robbery. Jocelyn Ybarra and Ybarra’s unborn child were killed on June 2. Relatives say Ybarra was 12 weeks pregnant when she was fatally shot. Mendoza has been in custody for about a month on unrelated charges.